Won the Honor Roll in Amateur in the USA. 2011 NZ National Supreme Grand Champion. All above won in 6 weeks of showing only. ONLY 2 BOOKINGS AVAILABLE IN 2015. Rock It is a gorgeous young stallion sired by USA National Champion Reece's Thunder Hawk. This promising boy boasts the proven lines of Rowdy and Orion Light Vant Huttenest! His outstanding colour and conformation prove this is one memorable young stallion. 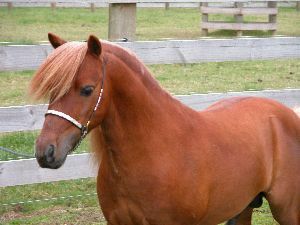 He has an amazing neck set - one of the best we have ever seen on a miniature horse, a gorgeous short head and fine body type, very much a modern miniature. His bloodline on his sires side is new into New Zealand so will be a great out cross for many of our mares. 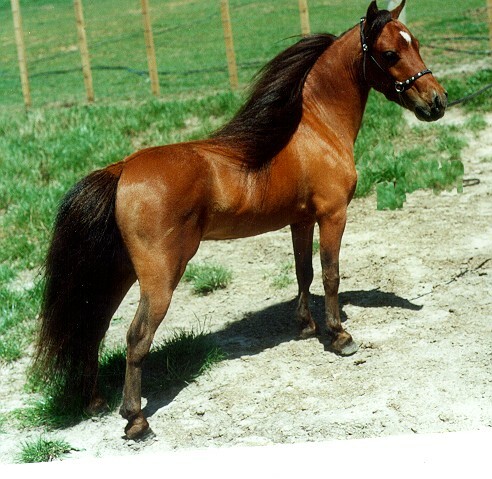 If you want to breed the most modern of miniature horses, this is your sire. ORION HAS NOW PASSED AWAY BUT I PUT HIS ADD BACK UP IN RESPECT TO THE OLD GUY. RIP. Sire of "NZ's Super Sire" Scott Creek Monarch Magic (Imp USA). Even though Orion Monarch is an older gentleman we felt the opportunity was to good too pass up owning this great stallion who is the only direct son of Orion Light Van't Huttenest in Australasia. Some may think we have brought coals to Newcastle by purchasing Orion Monarch especially with his frist born son also standing here at Bluegables. But, we feel that if you want to try and reproduce a superior horse like Orion Light Van't Huttenest, one must first reinforce the bloodline and this is what we plan to do with these two great sires. We are strong believers in line-breeding and to lock in the greatness of the Orion bloodline we will breed Orion Monarch over his own granddaughters and great granddaughters. After all Scott Creek Monarch Magic is the result of crossing an Orion son over an Orion grand daughter. Sire of many Supreme winners here and in the USA. Fame will be offered at stud in 2010 to a very few outside mares. 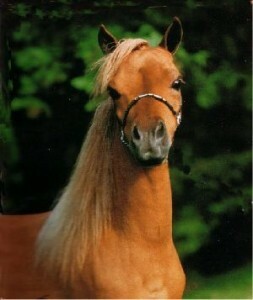 He is the most refined tiny true 28 1/2 inch horse you will ever see. He has great length of leg for a small horse, great head and neck. He is the sire of Bluegables Figure de Obsession, who is the dam of BLUEGABLES MOBNARCHS SHOW-OFF (NZ National Supreme Grand Champion 2010), MONARCHS SHOW-BIZ, MONARCHS SHOW GIRL, EXTREME MAKE-OVER. All mulit supreme champions. Monarch's Progeny have won well over 180 Supreme Champion, National Champion or National Grand Champion awards. Monarch is still NZ?s leading sire, his is the only name that is consistent with winning, whether it be in the show-ring, Hi-point awards, National awards or as a sire! He has more National Champion and Grand Champion offspring than any other stallion in the history of NZ. We believe, what makes Monarch such a successful sire is the fact that he is a double bred Orion Light Van Huttenest grandson and true to this unique breeding he is siring Multi Champions and Supreme Champions all of whom are showing his truly Modern ultra fine type and exquisite head and neck. Monarch himself is a Multi-Supreme Champion and Hi-Point winner, proving beyond any doubt that winning is in the blood! Winner of NZ National Champion Get of Sire for five years out of six. * 2001 NZ National Champion Get of Sire all A Get. * Sire of National Supreme Grand Champion B for 4 consecutive years. 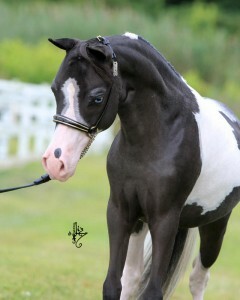 * Sire of 6 out of 12 National Supreme Champions.